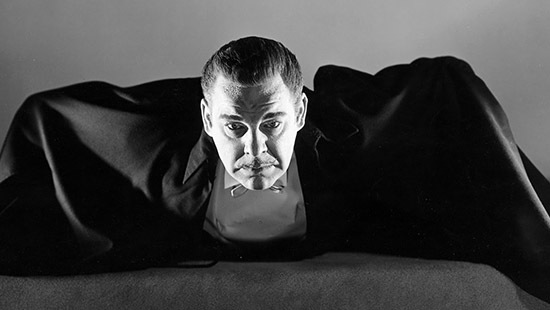 Of those Big Three horror legends, though, Karloff and Lugosi have always enjoyed slightly elevated standing over Lon Chaney, Jr., who—despite a truly prolific career—has always been considered somewhat of a little brother among the Big Three. Some of that might be because Chaney’s breakout role in 1941’s The Wolf Man came a full decade after the release of Dracula and Frankenstein, which earned Lugosi and Karloff their super-stardom mere months apart in 1931. Some of it might be because Chaney’s seminal monster role was actually Universal’s second attempt at a werewolf flick, after the less successful Werewolf of London six years earlier. Or some of it just might be that he will always be saddled—despite his later efforts—with the diminishing appellation “Jr.”, thanks to his famous father, Lon Chaney, Sr., the “Man of A Thousand Faces”. 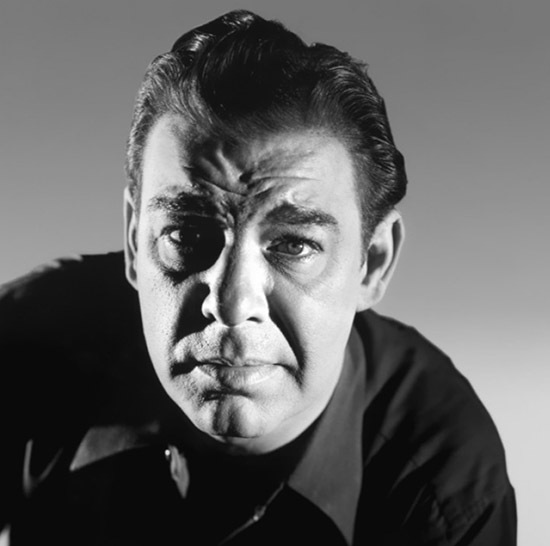 Whatever the reason, in the pantheon of classic horror cinema, Lon Chaney, Jr.’s pedestal will always remain just slightly below that of Karloff and Lugosi, even as he will forever be associated with them. Lon Chaney, Jr., however, has some interesting and important bragging rights over both Lugosi and Karloff. Chaney alone among the Big Three Golden Age legends enjoys the distinction of having played each and every one of the Big Three Universal monsters: Dracula, Frankenstein’s monster, and—most famously, of course—the Wolf Man. That is a trifecta of terror that only Lon Chaney, Jr. alone can claim. Boris Karloff enjoyed what is likely to go down as the most magnificent career ever in the history of horror cinema. 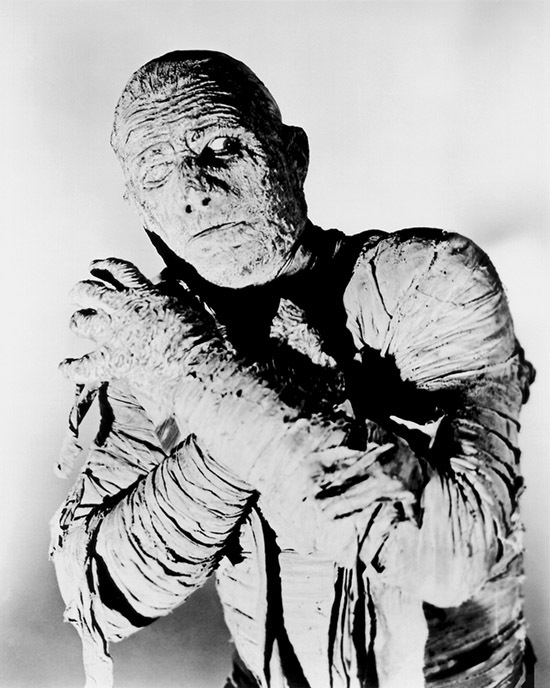 He originated the roles of Frankenstein’s monster and The Mummy. 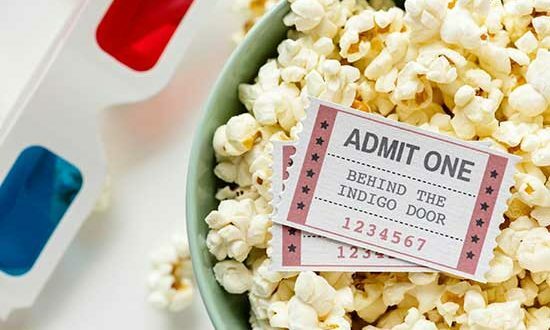 Among many other roles, he played an evil Satanist (The Black Cat), mad scientists (House of Frankenstein, The Man They Could Not Hang), doomed twins (The Black Room), a dark sorcerer (The Raven), Dr. Jekyll and Mr. Hyde (Abbott and Costello Meet Dr. Jekyll and Mr. Hyde), and the Grinch himself (How the Grinch Stole Christmas!)! However, he never played Dracula (though he did portray the vampiric Wurdalac in Black Sabbath) and he never played a werewolf, much less the Wolf Man. While Bela Lugosi’s career didn’t match Karloff’s, he came closer to nailing the Universal trifecta than Karloff did. Lugosi’s portrayal of Dracula could go down as the signature horror performance of all time, and he did play the role of Frankenstein’s monster in Frankenstein Meets the Wolf Man. 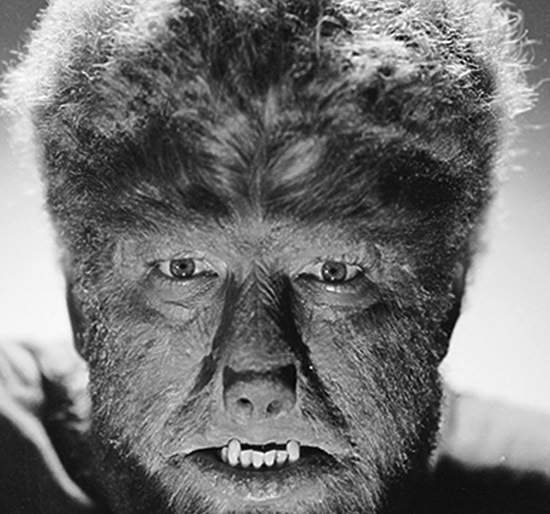 And although he didn’t play the title role in the 1941 film, he did play the gypsy werewolf Bela in The Wolf Man. But never the Wolf Man himself. Unlike his contemporaries, however, Chaney did play all three classic roles…and even the Mummy, for good measure, in a whole series of films! And in that regard, Lon Chaney, Jr. stands alone. Creighton Tull Chaney was born two months premature in the cold winter of 1906. According to the legend spun in his family’s biography, the early labor was difficult, and Chaney was born limp and lifeless. Following several failed attempts by the doctor to resuscitate the baby, his father Lon grabbed little Creighton, raced outside, and submerged him in the frigid waters of the nearby Belle Isle Lake. The frantic baptism in the icy lake revived the dying infant and saved his life. 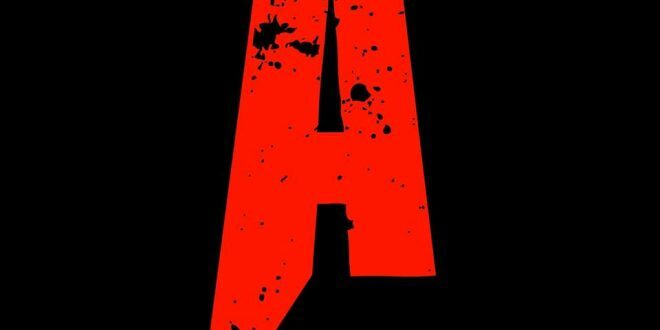 Hollywood could not have scripted a more appropriate opening scene for the man who would go on to become one of the greatest stars in horror cinema. After being discouraged from show business by his famous father, Chaney didn’t embrace acting until he was already in his thirties, at first toiling in theater and film as Creighton Chaney and not wanting to trade on his father’s famous name. 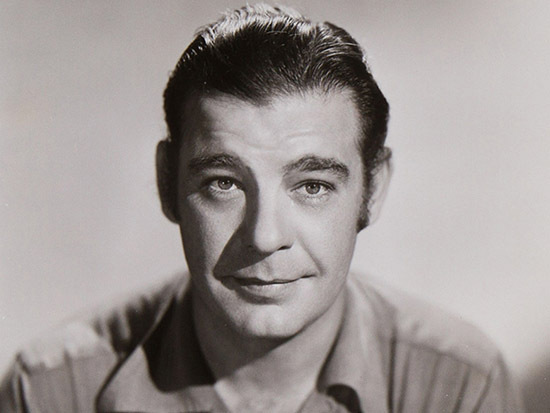 Five years after Lon Chaney, Sr.’s premature death in 1930, though, his son reluctantly adopted the name Lon Chaney, Jr., and just a few years later landed a role that brought him his first measure of fame and critical acclaim. That role was not Larry the lycanthrope, however. It was the role of the gentle giant Lenny in 1939’s Of Mice and Men, and it won Lon Chaney, Jr. the New York’s Critics Choice Award. It also earned him a contract with Universal Studios in 1941, and that same year he delivered his signature performance as the cursed and tortured Larry Talbot in The Wolf Man. Like its star, Chaney’s breakout role in The Wolf Man occupies a unique place in the pantheon of classic Universal monster movies. It was the only major Universal monster to be played by only one actor. 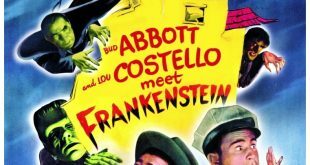 After the initial hit in 1941, Chaney went on to reprise his role in four more films: Frankenstein Meets the Wolf Man (1943), House of Frankenstein (1944), House of Dracula (1945), and the legendary Abbott and Costello Meet Frankenstein (1948). And both Chaney and The Wolf Man came onto the scene at just the right moment for Universal, a time when the popularity of Lugosi, Karloff, and the classic monsters they created were just beginning to wane. Chaney stepped into the void, not only launching a brand new franchise with The Wolf Man, but also taking over the roles of all of Universal’s classic monsters for the better part of the decade. In essence, Chaney became Universal’s go-to horror star. In fact, in just the two years after his triumph in The Wolf Man, Chaney played the monster in The Ghost of Frankenstein (1942), the Mummy in The Mummy’s Tomb (1942), his werewolf role again in Frankenstein Meets the Wolf Man (1943), and Count Dracula in Son of Dracula (1943). 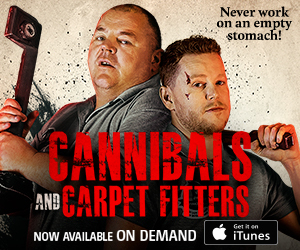 That is a monumental run of horror preeminence that has never been matched and never will be. There is no denying the excellence of The Wolf Man. Chaney’s portrayal of the tormented Larry Talbot will always rank among the most interesting and exceptional horror performances of that era and any other. And with a stellar supporting cast—Claude Rains, Lugosi, Maria Ouspenskaya, Evelyn Ankers, and Ralph Bellamy—terrific atmospherics, and the golden touch of Jack Pierce in the makeup department, The Wolf Man rates with the best horror films of the time. 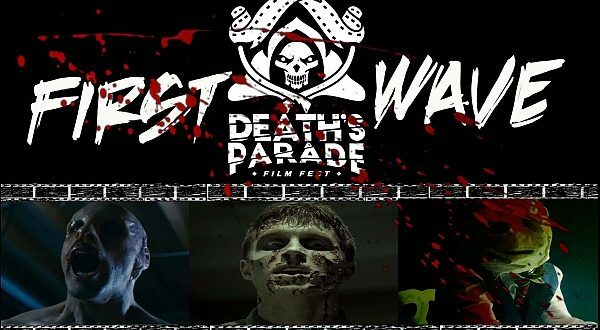 The same, though, cannot be said of The Ghost of Frankenstein and Son of Dracula, both of which rank among the lesser entries in the Universal monster catalogue. 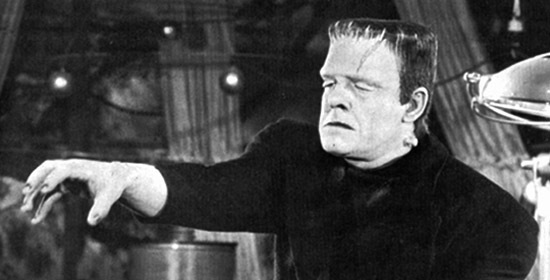 Of the two, The Ghost of Frankenstein is probably the better overall film, and it does boast one of the most legitimately frightening moments in the Universal oeuvre. 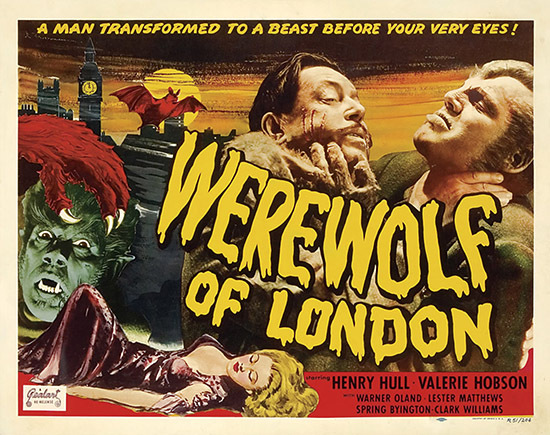 At the climax of the film, Dr. Ludwig Frankenstein (Cedric Harwicke) has been tricked into giving the monster (Chaney) the brain of his deformed, malevolent companion, Ygor (Lugosi), basically creating an old-school super villain: the sinister, conniving Ygor—now immortal—with the strength of one hundred men. Still unaware of the treachery after the ill-fated surgery, Dr. Frankenstein questions the monster, and in answer, Ygor’s distinct, accented voice and mocking verbal venom come tumbling out of the brute’s mouth. 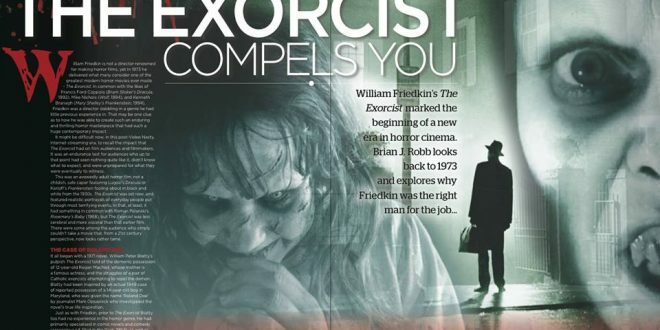 It is a chillingly-effective scare, which still endures more than seventy years later. There is no such enduring moment in Son of Dracula, however. The film does some interesting things with special effects and visual motifs, and its Van Helsing-ish character—J. Edward Bromberg as Professor Lazlo—is effective. And Chaney actually carries himself very well as Count Dracula. But in an odd bit of scripting, Son of Dracula turns the king of vampires into a lovelorn, cuckolded ladies’ man, and the film’s final destruction of the Count essentially leaves him frantically and impotently begging his wife’s lover for his life. It’s not a good look for Dracula, and the film significantly diminishes the character. 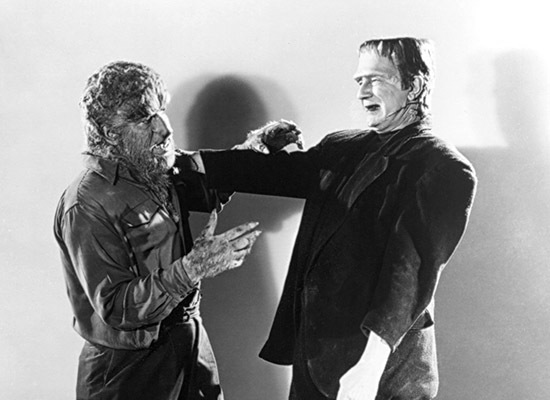 Despite their flaws, though, The Ghost of Frankenstein and Son of Dracula allowed Lon Chaney, Jr. to do something that neither of his contemporaries could do: complete a personal trifecta of terror by playing each of Universal’s Big Three classic monsters. 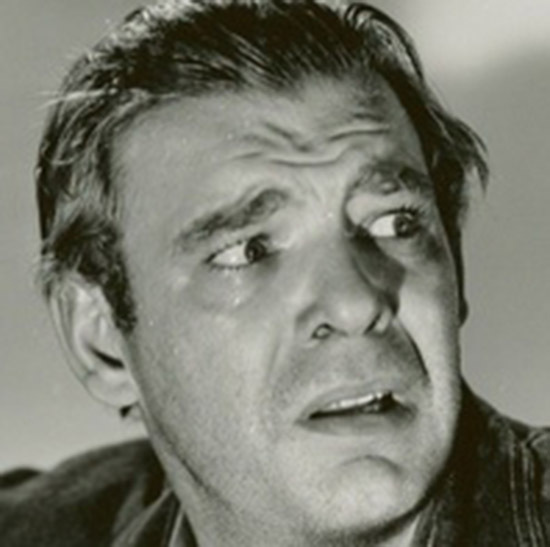 Though he may never be in the conversation for greatest horror star of all time, Lon Chaney, Jr. will always enjoy that special distinction and occupy his own unique place among the constellation of Golden Age horror icons.